Everything we know so far about this mysterious item. Our Destiny 2 Unsolvable Problem guide contains everything we know so far about this mysterious transcript in the Warmind expansion. There's one item in Destiny 2's Warmind expansion that's got everyone scratching their heads and wondering exactly what it exists for. It's entitled "The Unsolvable Problem" and it's an item you'll receive by progressing through the Nascent Dawn, Override Frequency questline with Ana Bray. At some stage during this questline, you'll be given some data which can be loaded in a nearby console. Once you've done so, you'll recieve the Unsolvable Problem item. 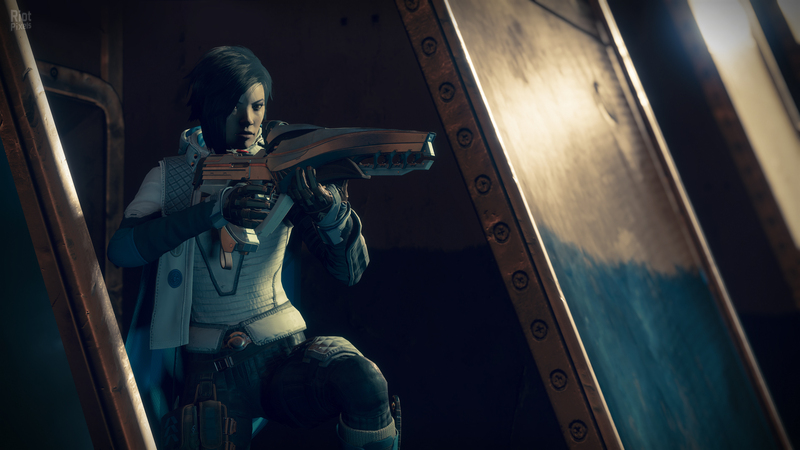 It's viewable in your inventory, but it doesn't appear to actually serve any other purpose, unless of course you're into the lore surrounding Rasputin, Ana Bray and the like. In this article we've put together a guide that contains everything we currently know about the Unsolvable Problem in Destiny 2's Warmind expansion, along with a detailed summary of the item at the bottom of this page. We'll update this guide if any secrets suddenly emerge. Complete the Warmind main story line. Complete all of Ana Bray’s Quests on Mars - they’ll be marked with a blue icon. Head back to Ana Bray once you’ve completed these two steps and you’ll be rewarded with the Nascent Dawn 1/5 Pursuit Quest. In order to complete this Nascent Dawn Quest, you’ll need to beat 3 Patrols and 1 Lost Sector on Mars. You’ll collect Resonate Stems while doing so, and you should have 4 in total once you’ve beaten all of the Patrols and the Lost Sector. Go to your inventory and combine these Resonate Stems into one Override Frequency item. The Override Frequency looks like a string of code that’s connected to a specific Sleeper Node, but don’t be intimidated. Pay attention to three terms at the end of the string and you’ll find that it’s a clue to figuring out where exactly the Sleeper Node is located. You’ll know if you’ve gone to right location as you’ll hear music playing. Follow the sounds to locate the Sleeper Node. Once you’ve found it, interact with it. Return to Ana Bray and she’ll hand out a bunch of rewards and confirm that there are 40 of these Sleeper Nodes scattered around the map. Here’s the important part. You’ll also be given some data which you can load into a nearby console. You’ll be prompted to “Socket Diary” and in return, you’ll receive the “Unsolvable Problem” item. Simply head into your Inventory to inspect it. Video by MoreConsole. Skip to 1:37 to see the Unsolvable Problem item. Head on over to our Override Frequency guide for a complete breakdown of how to obtain the mysterious Sleeper Nodes scattered across the map! Also make sure you have a look at our Lost Memory Fragments page if you're after all of their locations too. What does the Unsolvable Problem do? From what we’ve gathered so far, it’s simply an item that’ll satisfy the lore heads out there. The clue’s in the data that Ana Bray gives you, as well as the interaction with the nearby console which states “Socket Diary”. You’ve been given one of Ana Bray’s diaries. Give it a read and the Unsolvable Problem relates to the relationship that Ana Bray and Rasputin share. She gives us details as to what the Warmind Rasputin’s role in the Destiny universe is, along with how her ultimate aim is to give it freedom of thought. Ana Bray wants Rasputin to solve problems for itself, but questions why she should put all the effort into giving the Warmind this ability if we’ll gain no insight from it. Essentially, she needs to programme Rasputin to form concepts, self improve and defend humanity on its lonesome, from threats that humanity can’t anticipate - that’s the Unsolvable Problem. It even says “This item may be safely discarded”, so you won’t be penalised for throwing it away. This leads us to believe that there really isn’t any secret lurking within the Unsolvable Problem, but we’d love to be proven wrong. Only time will tell! A closer look at some of the key cards in the soon to be revived archetype. Our massive guide to playing Dragon Mage in Rise of Shadows.